The complete phasor diagram of lagging p.f. is shown in the Fig. 1. Fig. 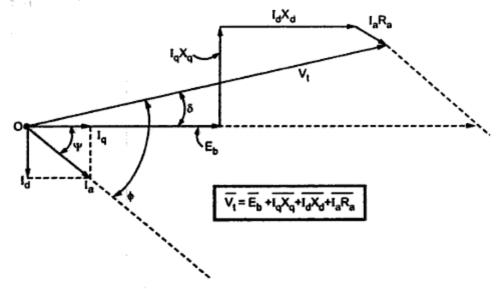 1 Phasor diagram for lagging p.f. Note : For the proof of above results refer example 2. The complete phasor diagram of leading p.f. is shown in the Fig. 2. Fig. 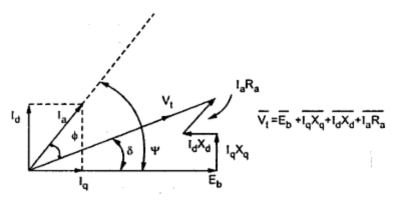 2 Phasor diagram for leading p.f. Note : Φ should be taken negative for the leading power factor for calculating other parameters.